Home Relax your self daydream kit review by sliceteam!!! daydream kit review by sliceteam!!! Hello, our team is going to review the latest google released product daydream kit.Let's have a detailed look. The best thing about Google’s new virtual-reality headset isn’t the headset at all. In fact, Daydream View would pale compared with Samsung’s Gear VR headset were it not for Daydream’s controller, a handheld device that responds to gestures and other motion. With Gear VR, I have to move my head to point a cursor at something, then reach for a button on the headset. With Daydream, I can just aim and click the controller in my hand. Sensors in the device tell the headset what I’m trying to do, whether it’s swinging a tennis racket or casting a fishing rod. The headset’s display responds accordingly. The headset and controller are sold together for $79, starting Thursday. No rush in getting one, though, as the virtual experiences built for Daydream are still limited. And for now, it works only with Google’s Pixel phone . THE MANY FLAVORS OF VIRTUAL REALITY Image result for daydream view While sophisticated systems like Facebook’s Oculus Rift and HTC’s Vive let you walk around in the virtual world, Daydream View is a sit-down experience in which you use the controller to move yourself around. (You could walk around with the Daydream on if you wanted to, but you won’t go anywhere in virtual space — and you might run into the wall.) But the Rift and the Vive each costs more than $1,500, once you include powerful personal computers they require. Suddenly, $79 sounds like a bargain. Daydream stays cheap by using the display and processing power of your phone, which you insert into the headset at eye level. Gear VR, at $100, takes a similar approach, but it works only with Samsung phones. While Daydream works only with Pixel for now, several other Android makers plan to make compatible phones. Sorry, iPhone users. Those without compatible phones still have Google Cardboard, a $15 contraption you hold up to your face. Using Daydream View, by contrast, is more like wearing goggles. While Gear VR has a better fit, with focusing and a second strap over your head to keep the headset from sliding too low, Daydream is much more comfortable to wear and use than Cardboard. Image result for google daydream controllerALL ABOUT THAT CONTROLLER Those who’ve played Nintendo’s Wii system will find the Daydream controller familiar. It’s about the size and shape of a chocolate bar, and it has motion sensors to track movement. Although I’m not a big gamer, I enjoyed shooting water out of a hose to put out fires. You simply hold a button to spray and move the controller around to douse flames. You can even tilt the controller to control the angle of the hose. 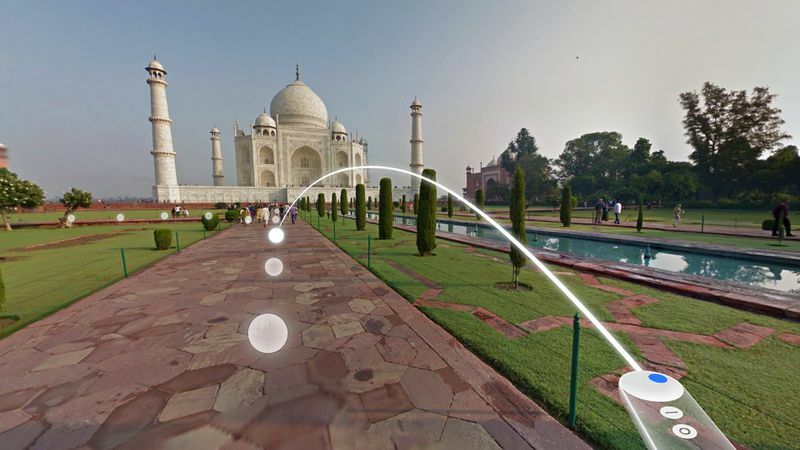 Another app lets you explore the universe by using the controller as a laser pointer to bring up more information. The controller makes it easier to navigate menus without making yourself dizzy; just move it around to point at things. And while getting the full 360-degree experience of VR often requires spinning around (a swivel chair helps), some apps in Daydream let you grab the scene with your controller and drag it around you, just as you would with a PC mouse. It’s also handy to have volume controls and a home button in your hand rather than on your head. NAUSEA FREE? VR can be nauseating, and Daydream is no different. I found that it’s less about the headset, and more about the VR video. The best videos use stationary cameras and let you move your head (or controller) around to explore. The nauseating ones tend to treat VR cameras like regular movie cameras , with a lot of panning in response to a subject’s movements. The viewer, not the subject, should be the one doing the moving. And while I enjoyed watching a woman’s skydive in VR on YouTube, scenes of her preparing to jump felt jarring because the camera was on her shaky arm. I had to remove my headset. WHAT’S THERE TO DO? Image result for google daydream examples You can view 360-degree YouTube videos and any 360-degree photos you store on Google Photos. You can visit other destinations such as the Galapagos Islands in a 360-degree version of Google’s Street View. A few games, museum artworks and The Wall Street Journal’s app were also available to try out prior to Thursday’s launch. A handful more are coming Thursday. Even more are promised by the end of the year, including apps for Netflix and Hulu — though all that does is offer video on a giant screen in a virtual living room. There’s much more available for Cardboard. Unfortunately, app developers will need to make some tweaks first to make them compatible with Daydream. They’ll need to do even more to take advantage of the motion control. Daydream has promise, but until more apps arrive, its potential is still a dream. Thanks for reading the review ,u can rate the daydream in the comments!!!!! Hello, our team is going to review the latest google released product daydream kit.Let's have a detailed look. The best thing about Google’s new virtual-reality headset isn’t the headset at all. In fact, Daydream View would pale compared with Samsung’s Gear VR headset were it not for Daydream’s controller, a handheld device that responds to gestures and other motion. With Gear VR, I have to move my head to point a cursor at something, then reach for a button on the headset. With Daydream, I can just aim and click the controller in my hand. Sensors in the device tell the headset what I’m trying to do, whether it’s swinging a tennis racket or casting a fishing rod. The headset’s display responds accordingly. The headset and controller are sold together for $79, starting Thursday. 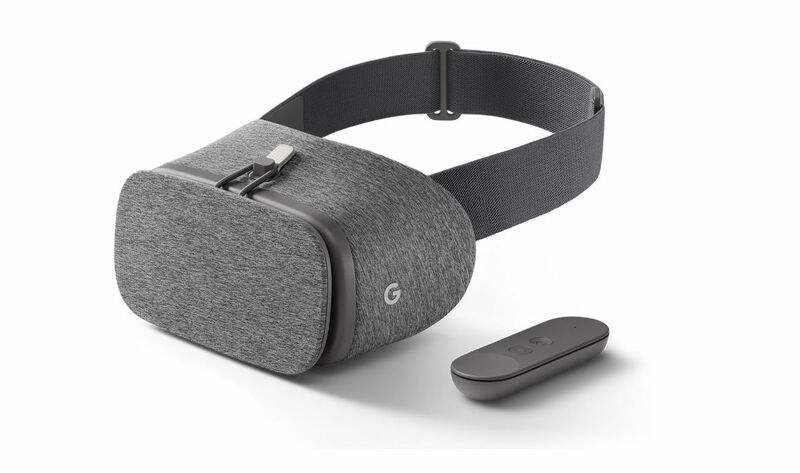 No rush in getting one, though, as the virtual experiences built for Daydream are still limited. And for now, it works only with Google’s Pixel phone . But the Rift and the Vive each costs more than $1,500, once you include powerful personal computers they require. Suddenly, $79 sounds like a bargain. Daydream stays cheap by using the display and processing power of your phone, which you insert into the headset at eye level. Gear VR, at $100, takes a similar approach, but it works only with Samsung phones. While Daydream works only with Pixel for now, several other Android makers plan to make compatible phones. Sorry, iPhone users. Those without compatible phones still have Google Cardboard, a $15 contraption you hold up to your face. Using Daydream View, by contrast, is more like wearing goggles. While Gear VR has a better fit, with focusing and a second strap over your head to keep the headset from sliding too low, Daydream is much more comfortable to wear and use than Cardboard. Those who’ve played Nintendo’s Wii system will find the Daydream controller familiar. It’s about the size and shape of a chocolate bar, and it has motion sensors to track movement. Although I’m not a big gamer, I enjoyed shooting water out of a hose to put out fires. You simply hold a button to spray and move the controller around to douse flames. You can even tilt the controller to control the angle of the hose. Another app lets you explore the universe by using the controller as a laser pointer to bring up more information. The controller makes it easier to navigate menus without making yourself dizzy; just move it around to point at things. And while getting the full 360-degree experience of VR often requires spinning around (a swivel chair helps), some apps in Daydream let you grab the scene with your controller and drag it around you, just as you would with a PC mouse. It’s also handy to have volume controls and a home button in your hand rather than on your head. VR can be nauseating, and Daydream is no different. I found that it’s less about the headset, and more about the VR video. The best videos use stationary cameras and let you move your head (or controller) around to explore. The nauseating ones tend to treat VR cameras like regular movie cameras , with a lot of panning in response to a subject’s movements. The viewer, not the subject, should be the one doing the moving. And while I enjoyed watching a woman’s skydive in VR on YouTube, scenes of her preparing to jump felt jarring because the camera was on her shaky arm. I had to remove my headset. You can view 360-degree YouTube videos and any 360-degree photos you store on Google Photos. You can visit other destinations such as the Galapagos Islands in a 360-degree version of Google’s Street View. A few games, museum artworks and The Wall Street Journal’s app were also available to try out prior to Thursday’s launch. A handful more are coming Thursday. Even more are promised by the end of the year, including apps for Netflix and Hulu — though all that does is offer video on a giant screen in a virtual living room. There’s much more available for Cardboard. Unfortunately, app developers will need to make some tweaks first to make them compatible with Daydream. They’ll need to do even more to take advantage of the motion control. Daydream has promise, but until more apps arrive, its potential is still a dream. Thanks for reading the review ,u can rate the daydream in the comments!!!! !